“In all of my years with AAA, this is the first time we’ve had a Memorial Day where they’re dropping drastically,” said Lon Anderson, director of public and government relations at AAA Mid-Atlantic. He’s been with AAA for 17 years. Of course, gas prices in the area have risen more than a dollar per gallon in the past six months, according to AAA. But in the past seven days, they’ve dropped about 11 cents per gallon. In Potomac, regular gas averaged $4.089 on May 25, according to AAA. This time last year, regular gas was $2.947. That means AAA’s estimate that 30.9 Americans will be driving 50 miles or more for a weekend vacation may actually be low. The survey that was the basis for that estimate was conducted April 19 and 24, when experts were speculating that gas prices could hit $5 in the near future. 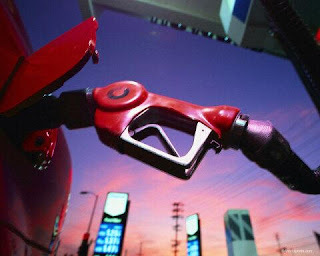 Have we really seen the highest gas prices for the summer? “Analysts say we have, which is welcome news for motorists,” Ragina C. Averella, manager of government affairs for AAA Mid-Atlantic, said in a statement. “Despite higher gas prices, the automobile is still the primary mode of travel for Americans for the Memorial Day holiday,” Averella said, “and while travel by this mode is slightly down this year, the percentage decline is negligible." In addition to cutting expenses, online tools such as AAA’s Travel Planner and GasBuddy.com allow people to find the price of gas along their route. In all, the AAA Travel Forecast, based on research in partnership with IHS Global Insight, found that about 34.9 million people are expected to travel by car, plane, bus, train and even boat during the holiday weekend, defined by AAA as Thursday, May 26, to Monday, May 30. The full report can be found online. About 8 percent of travelers are expected to fly, according to AAA. That’s an 11 percent increase from last year even though airfares are about 14 percent higher than this time last year. As to the true number of travelers, that’s yet to be seen. “Memorial Day, because it’s a short holiday, many people make a last moment decision,” Anderson said. There's also another variable at play--rising temperatures. The National Weather Service is forecasting temperatures in the high 80s for the rest of the week, reaching the low 90s by Memorial Day. “The mayor of Ocean City, he’s got to be doing cartwheels,” Anderson said. “Give the region several 90-degree days, a three-day weekend and cheaper gas … and off they go."